Gigasense and one of the leading crane service companies in Sweden, Dematek AB, has signed an agreement for active distribution and joint marketing activities. This is a great opportunity to extend Swedish heavy duty industries’ easy access to on site Gigasense knowledge. 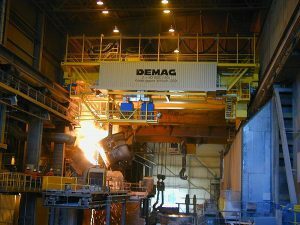 Dematek has local representation and their service technicians are trained to install Gigasense products, ranging from overload protection to anti collision systems and more.